Home for Life’s animals come to us from all over the United States as well as from many foreign countries, attesting to the need for care for life sanctuaries. The animals shown below are representative of the many cats and dogs that Home For Life® cares for, and the challenges they face. Some of our animals at Home for Life were surrendered by owners who have sought out the sanctuary for its' purpose and special care. Other animals were referred to Home For Life by other rescue groups and shelters. Home for Life provides care for retired working dogs, animals with special needs, old and infirm animals, animals with temperament issues, and animals that can not be adopted into a conventional home. At Home for Life, we currently house about 115 dogs in multiple doggie townhouses and apartments. No dog at HFL is caged. The apartments and townhouses have huge windows, heated floors, and piped-in soothing music. 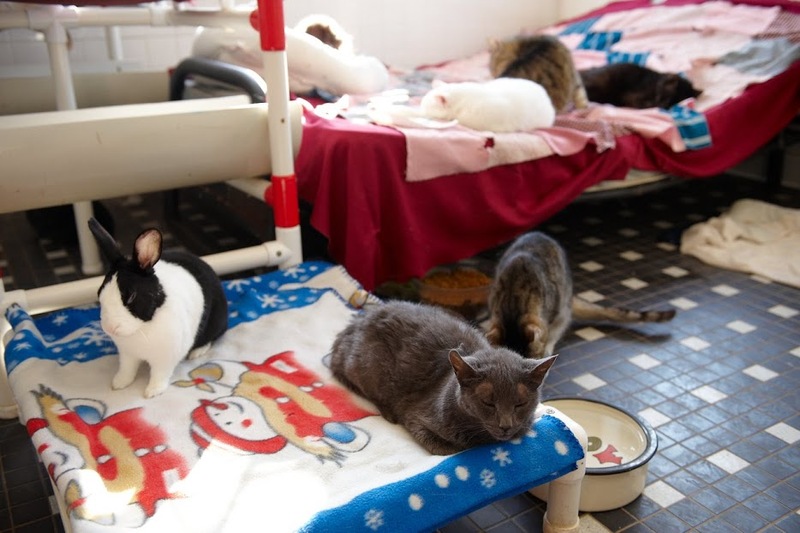 They are filled with warm beds, toys, fresh food and water. All dogs have access to outdoor fenced dog runs, and also have the opportunity to exercise in one of our four off leash meadows several times a week. We also currently care for 85 cats in three main catteries. The catteries are spacious open areas with skylights, huge windows, heated floors, classical and smooth jazz music and attached outdoor runs. They are filled with climbing trees and beds of our own special design. We maintain special, separate catteries for cats that have tested positive for feline leukemia and for cats who have tested positive for FIV. No cat at Home For Life is caged. Cats who are ill and must be quarantined occupy isolation rooms that have all the same amenities as the main catteries. Learn more about our individual cats and dogs, and find out how you can make a difference by giving them a Home for Life.